If your hair is rebellious, then the best way to tame it is by keeping your hair short. That’s why a lot of African-american women prefer to keep their hair short. But that doesn’t mean that there are limited options when it comes to the hairstyles that can be experimented with short hair. There are plenty of classy and chic hairstyles that you can try to sport a cool new look. 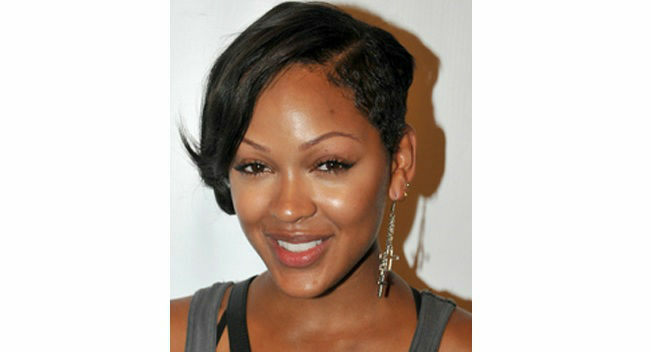 We give you here some of the best short hairstyles for African american women. This is a really funky way to wear your hair. Get the hair cut close to the scalp, a buzz cut that is, on one side. On the other side, straighten the hair and get bangs that fall across the face. Use a mild relaxer on the hair to relax it. Get it cropped short with some layers on top of the head for volume. To style it, use a sculpting serum and brush the hair towards the face and let it dry. This is another popular hairstyle these days. If you have thick hair, then go in for hair cropped short in a choppy way in many layers, the longest of it at the back, reaching your nape. Get some bangs on one side of the face. Use a lot of product to get the shine in your hair. That is about it. Keep the hair messy and you are good to go. This hairstyle needs you to have straighten your hair and sport bangs. If styled correctly, it will add an instant attitude to your look. Eyebrow grazing bangs and layered hair that stops at the chin form this hairstyle. You can get your hair dip dyed for a striking appearance or choose to leave your natural color on. While styling, use a curling iron to curl your hair inwards, such that the layers fall in increasing order of their length and flatter your face. The inward curl also adds a sense of volume to your hair. This bob is ideal for straight hair. The hair is cut asymmetrically with highlights at the crown and on the bangs that fall diagonally across the forehead. The hair on one side is longer than the other. The hair at the back is cropped short, making it ideal for the summer. It creates an illusion of a longer neck and a thinner face. Ensure that you use a hair cream that will give you plenty of shine and make the highlights stand out. This is an ideal way to show off your natural curls. Cut your hair short, in layers, just so that the hair falls in layers from the cheek level to the nape of the beck. Flaunt the curls for a trendy rebellious look. Ensure that you feed your hair a lot of conditioner so that the tresses look like they are well taken care of.